Fall Fashion Brings in Haute Pieces! Perfect for fall, is our amazing array of yellow gold jewelry! 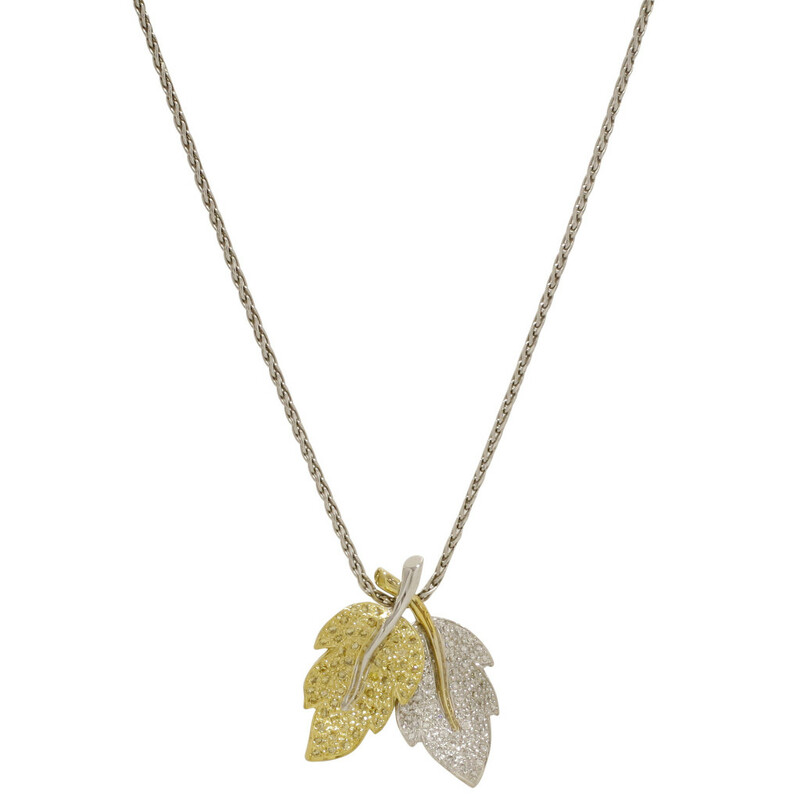 Stand out in this gorgeous 18k two-tone gold pave diamond leaves pendant and dress it up with a beautiful 18k yellow gold hinged leafy vine ring. 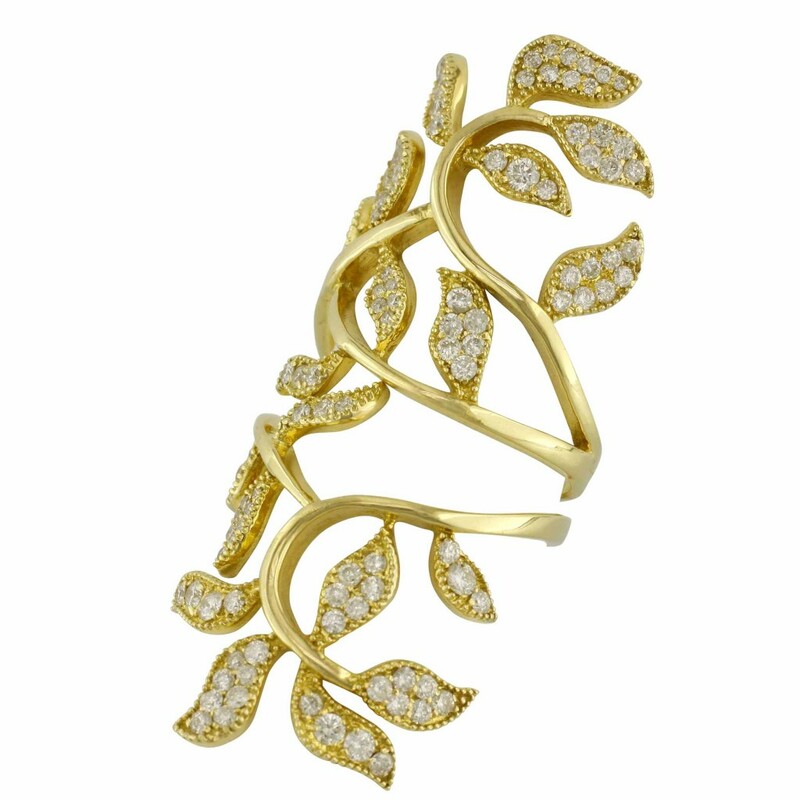 This fun full-finger cocktail ring is covered with an arrangement of diamonds to fit in each leaf. 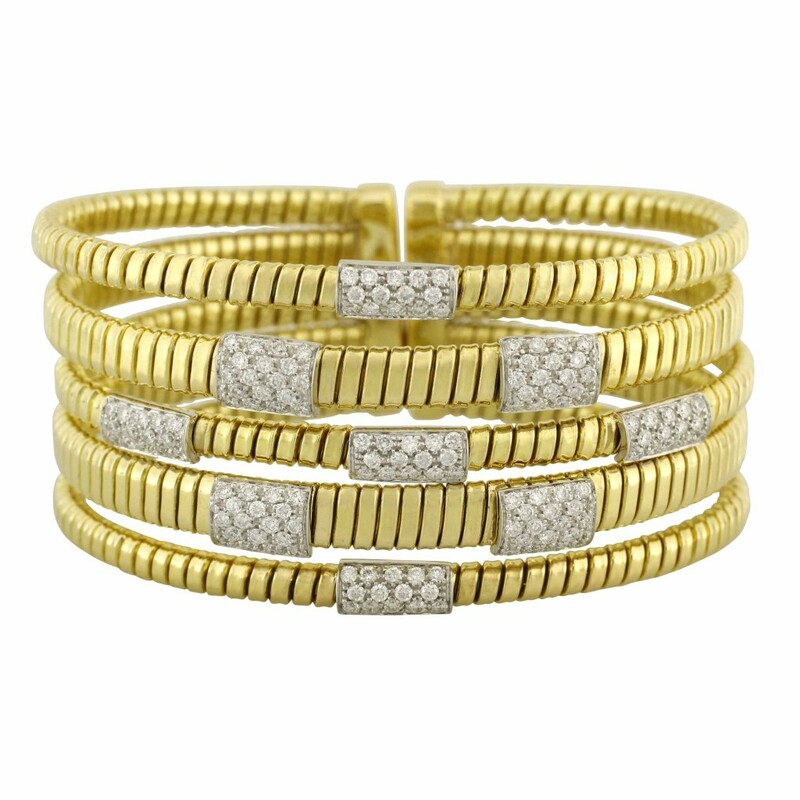 To top it off, this grand 18k yellow and white gold cuff has five rows of stiffened omega chain and white diamonds. This trendy yellow gold look adds a warm feeling to the taste of fall!